A man wrongly accused of committing a serious crime and struggling to prove his innocence is a recurring figure in the films of Alfred Hitchcock. 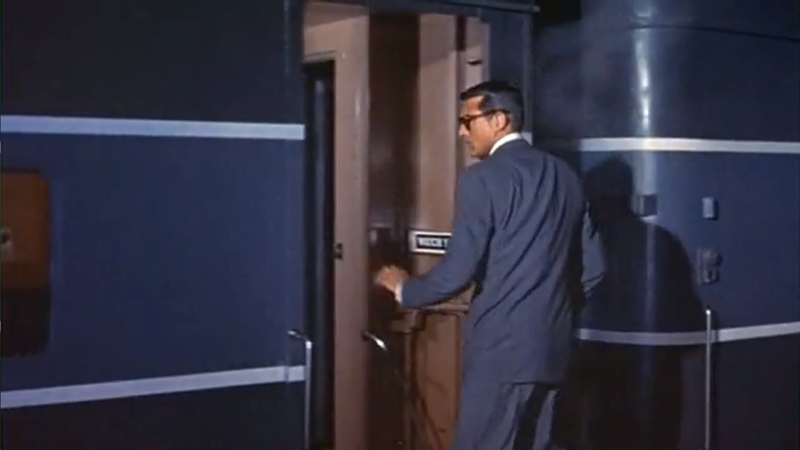 Suave advertising executive Roger O. Thornhill (Cary Grant) raises his hand at the wrong moment in a restaurant and is mistaken for a spy named George Kaplan. Thornhill is then pursued across the country by foreign spies and the police who believe him to be a murderer. Worse still, his mother wants him home for dinner. Thornhill hooks up with a stranger on a train, the achingly lovely Eve (Eva Marie Saint) and the two try to prove his innocence but can she be trusted? Everybody involved in the production brings their A-game. Ernest Lehman’s witty screenplay plays around with notions of identity and truth as well as being daringly suggestive for the times. Bernard Hermann’s score mixes suspense with romanticism. Hitchcock’s stunning use of set-pieces and spectacular locations lays down the template for the modern action movie blockbuster. For a film in which deception features so strongly there is nothing fake about Grant’s effortless charm or his onscreen chemistry with Marie Saint. North by Northwest is an action thriller with plenty of depth. Film journalist for the Daily Express and Screen Daily, Allan Hunter is also the co-director of the Glasgow Film Festival, an event growing in stature every year. In 2010 Mr Hunter oversaw a retrospective of Cary Grant’s career at the GFF. An admirer of Grant’s work, Mr Hunter will introduce tonight’s screening and afterwards talk about the film.